Another week, another fabulous book illustrated by Lucy Truman hits the shelves. 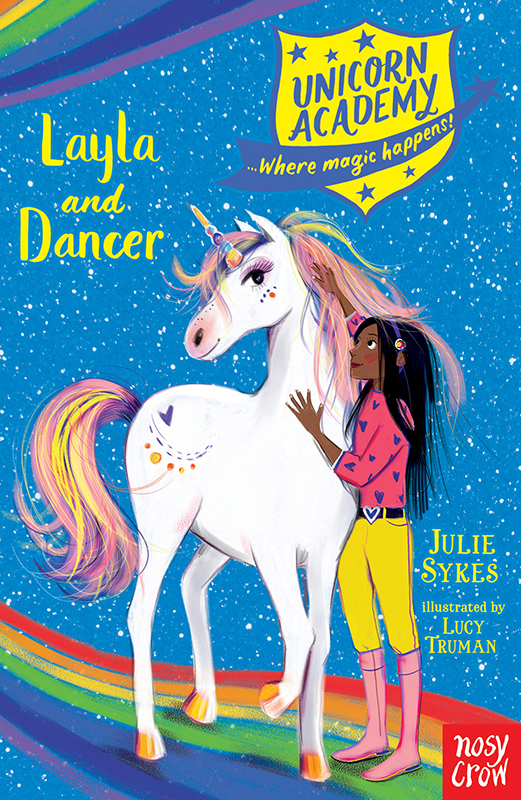 Layla and Dancer is the latest title in the Unicorn Academy series written by Julie Sykes and published by Nosy Crow. Lucy has once again created a sparkling cover and magical inside illustrations for this hugely popular series. To see Lucy’s portfolio, click here. Lucy Truman is represented by Kids Corner. Published on 9 August 2018.